The dogs move 50-60 km. a day in bitter cold of winter or across the flooded ice of early summer. 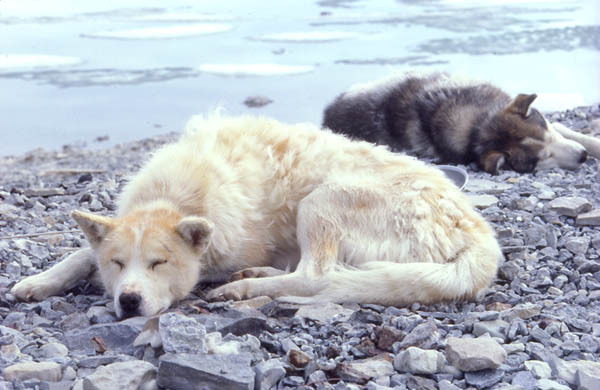 The faithful and incredibly hardy huskies have transported European explorers to the North Pole and Inuit all over the Arctic.